Dubai International Airport (DXB) started the final quarter of the year on a positive note with seven million plus customers passing through its doors in October. There was moderate growth in October (2.1 per cent year-on-year), helping the hub’s traffic to reach 74.5 million passengers for the year. Customers served: 7,007,823 in October (2.1 per cent) taking DXB’s year to date numbers to 74,529,259 (+1.5 per cent). Baggage volumes: 5.7 million bags (+4 per cent) passed through the airport’s sophisticated 175 km long baggage system during October. 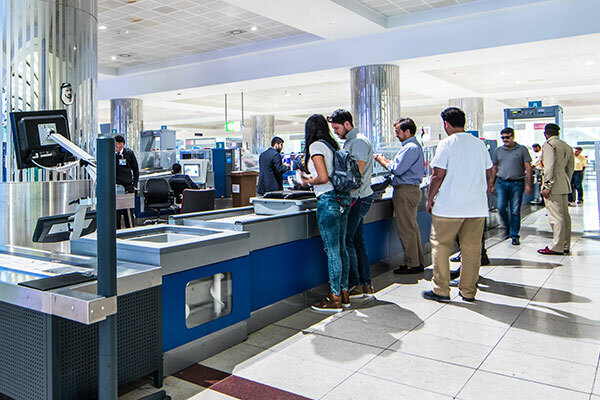 Waiting Times: Thanks to the state-of-the-art operations centre at DXB which leverages real-time information to improve service and efficiency, as well as the smart gate technology that helps speed customers through immigration, wait times were reduced by 33 per cent in October*. A traditionally strong market, India remained DXB’s top destination country by customer volume, with total traffic reaching 999,771 during the month. The UK was second with 502,890 customers, followed by Saudi Arabia with 444,803 customers. Other markets of note include the U.S. (231,688 customers) and China (200,765). North America held its position as the fastest growing region with 14.4 per cent, growth, followed by Africa at 9.8 per cent and CIS growing 8 per cent. Flight movements increased to 33,988 (+2.2 per cent) in October while the average number of customers per flight was slightly up at 214, (0.5 per cent). A total of 340,198 flights have taken-off or landed at DXB (-0.2 per cent) so far this year, bringing the total number of daily flight movements at DXB to 1,122.